As the baby shower approached I had to make a decision - would it be awesome or would it get finished? Let's just say it was pretty close to awesome and it got finished just in the nick of time. Sure, it could have been better. The piecing was good. My skills are definitely improving. 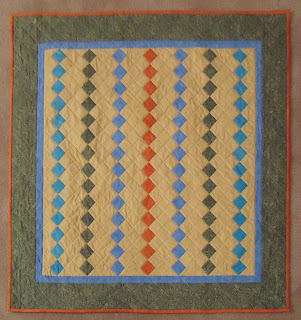 It was the actual quilting that was less than stellar. Unfortunately, I just couldn't give it the time it deserved. To be honest, quilting isn't something I have a lot of experience with, so even if I'd had time, I'm pretty sure than it still wouldn't have been "perfect." There was something difficult for me about accepting that this project would be inadequate. I had so wanted it to be flawless. Ha! Who am I kidding? I'm not capable of flawless. But, at this point, I am capable of pretty darned good. Come to think of it, there's really nothing wrong with pretty darned good ... especially if I'm not trying to get a ribbon. It's a baby quilt for goodness sake. Little Jude will not be complaining that my stitching isn't on the money. I'm just thankful to have the opportunity, skills and materials to make this unique, one-of-a-kind gift for someone special. 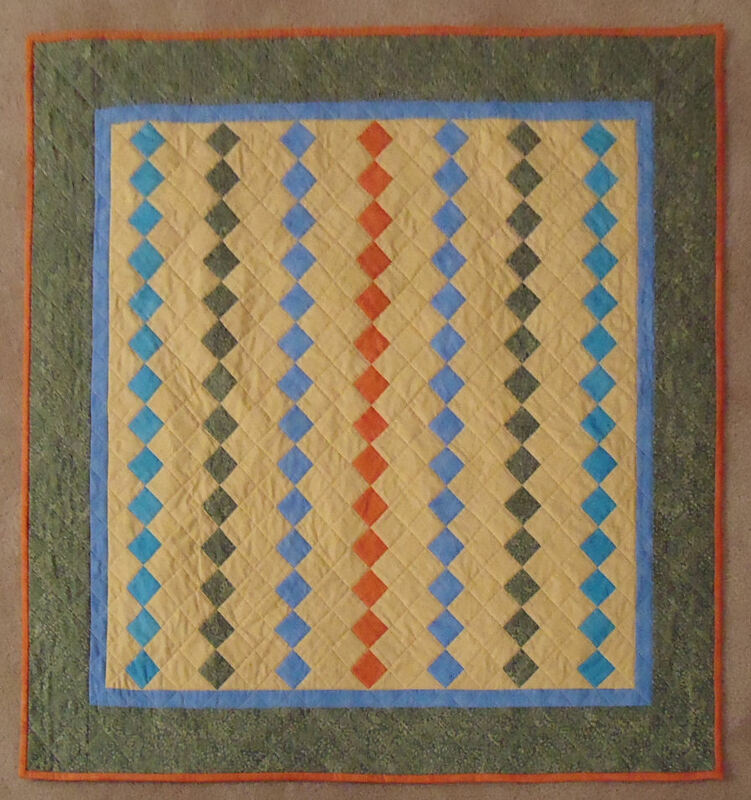 Quilting is fun, even when it's not perfect. Forty nine. It’s just a number, right? Well it’s a significant number today, because it’s mine to claim. I’m no longer in my “mid forties.” I suppose I have to own the fact that I’m approaching 50 and should now embrace my late forties. While the body does indeed ache a little more, I really don’t feel that much older. Life is still full of wonders and little things still bring excitement. I’m believing more and more that age is a state of mind. There are many seniors in my life who have the enthusiasm of youth. It's a pleasure to be in their company. And then there are some who are just plain grumpy. Every time I’m around them I wonder if I’m going to say something that will be ridiculed or considered offensive. I refuse to accept that as you age you have to become a curmudgeon. Youth means a temperamental predominance of courage over timidity of the appetite, for adventure over the love of ease. This often exists in a man of sixty more than a body of twenty. Nobody grows old merely by a number of years. We grow old by deserting our ideals. Years may wrinkle the skin, but to give up enthusiasm wrinkles the soul. Worry, fear, self-distrust bows the heart and turns the spirit back to dust. Whether sixty or sixteen, there is in every human being's heart the lure of wonder, the unfailing child-like appetite of what's next, and the joy of the game of living. In the center of your heart and my heart there is a wireless station; so long as it receives messages of beauty, hope, cheer, courage and power from men and from the Infinite, so long are you young. When the aerials are down, and your spirit is covered with snows of cynicism and the ice of pessimism, then you are grown old, even at twenty, but as long as your aerials are up, to catch the waves of optimism, there is hope you may die young at eighty. I'm a Christian woman who is married and the mother of two children who are both awesome young adults. My work (or what I do to make a little money) is substitute teaching in our local elementary schools. I like to quilt, waste time on Pinterest and organize stuff.